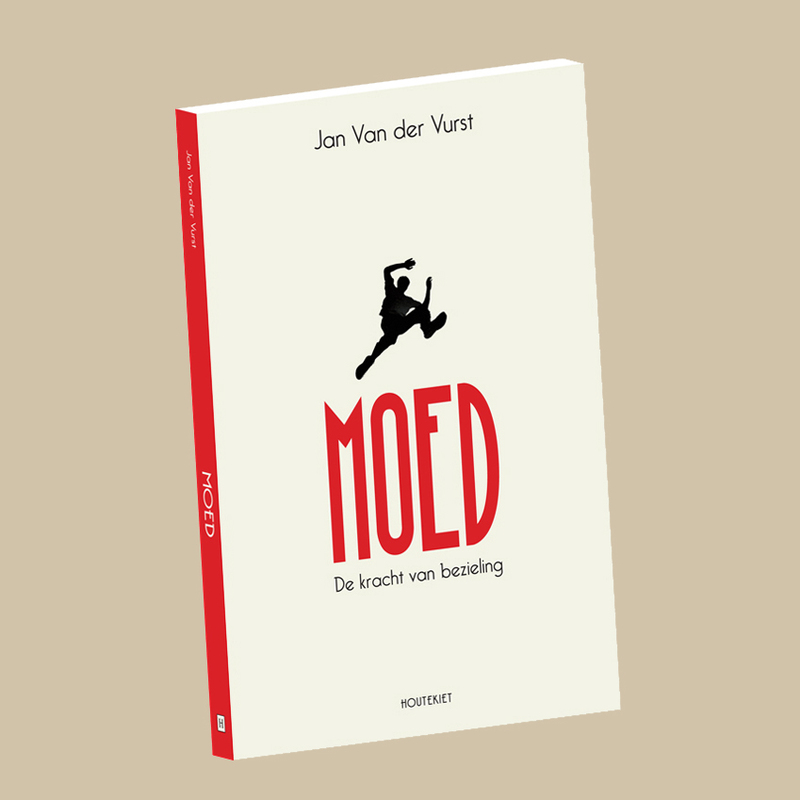 This book cover is for Moed, de kracht van bezieling by Jan Van der Vurst: a book about courage that would also be used in a management context. Since moed (courage) is such a strong word, the emphasis lies on that word typographically. I also added an image of the silhouette of a person literally taking a leap of faith.